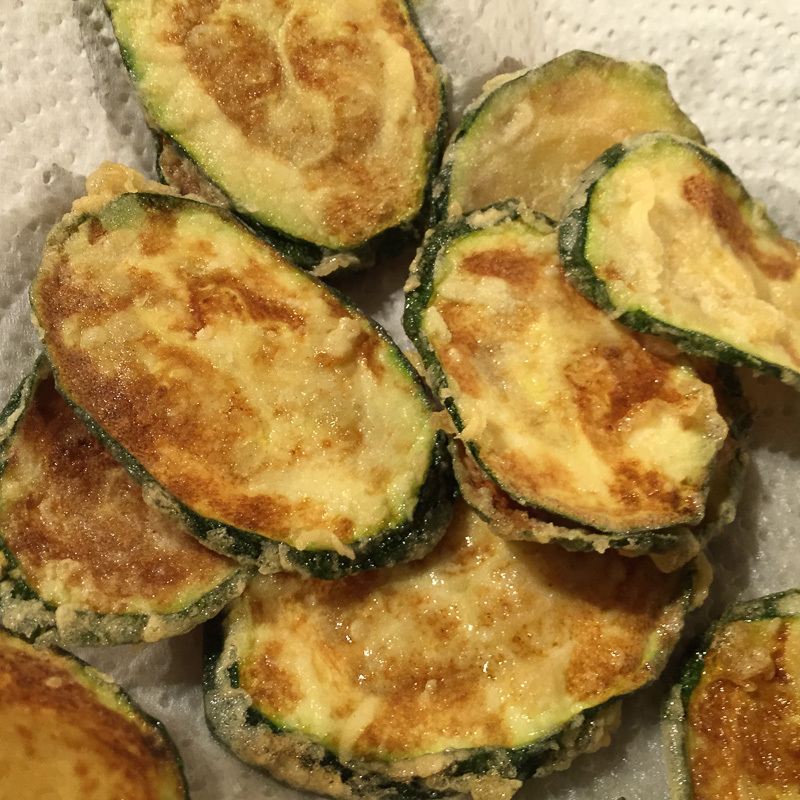 There were two courgettes in the Riverford veg box this week, and I remembered that The Prawn Cocktail Years had a recipe for Zucchini Fritters. It seemed like the perfect excuse to use them. This has to be one of the simplest recipes in the book. Thinly slice the courgettes, sprinkle with salt and leave in a colander to drain for half an hour, then rinse and dry with a tea towel. 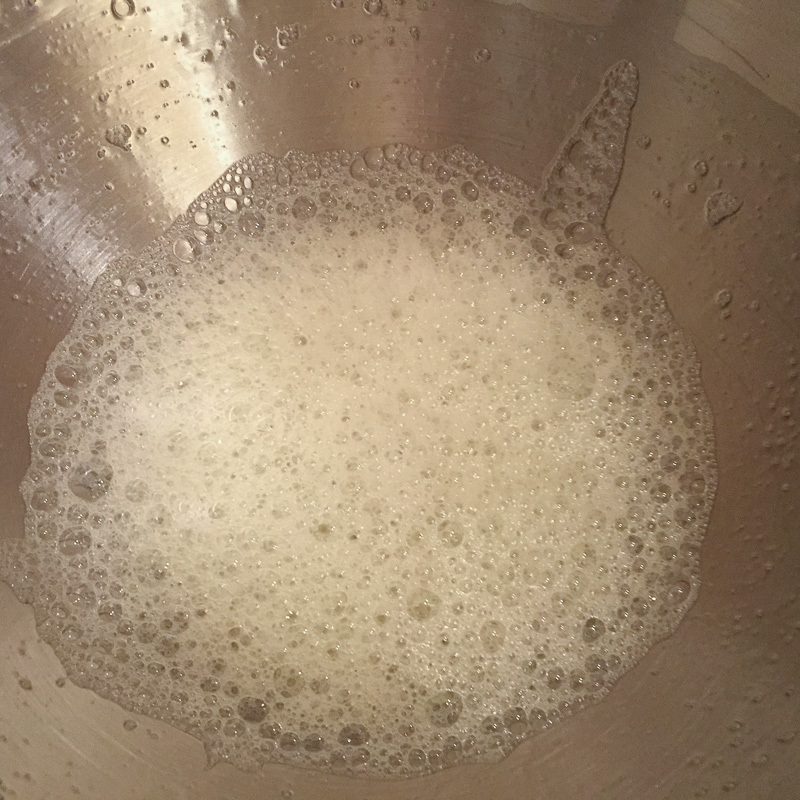 Whisk up an egg white into a loose and sloppy foam. Next, heat some oil, ready for frying. 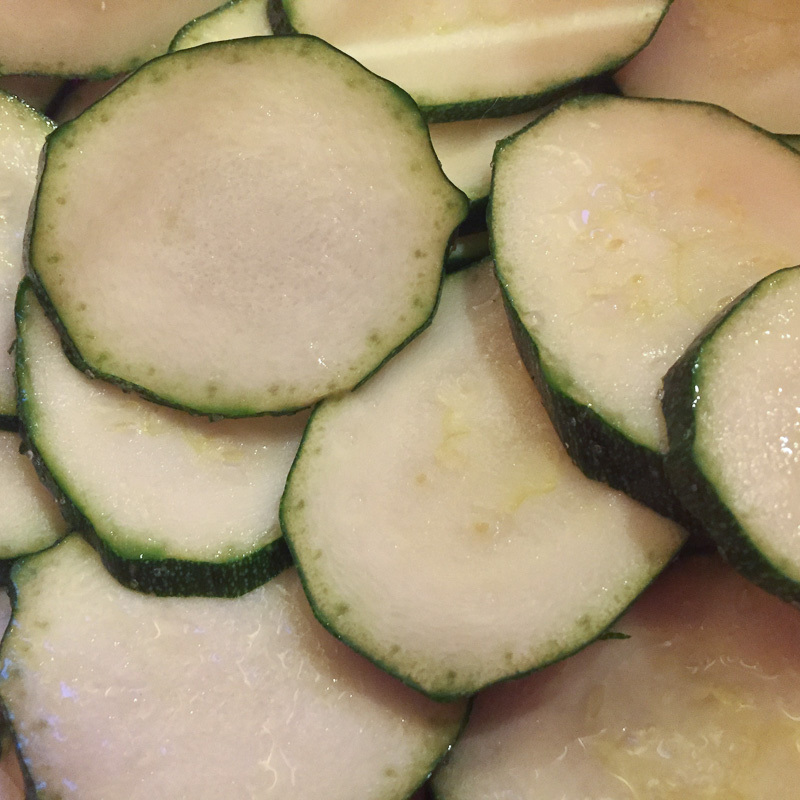 Once up to temperature, stir the courgettes in with the egg white and drain in the colander again. Then dredge the slices in the flour a few at a time and fry in the oil until golden. 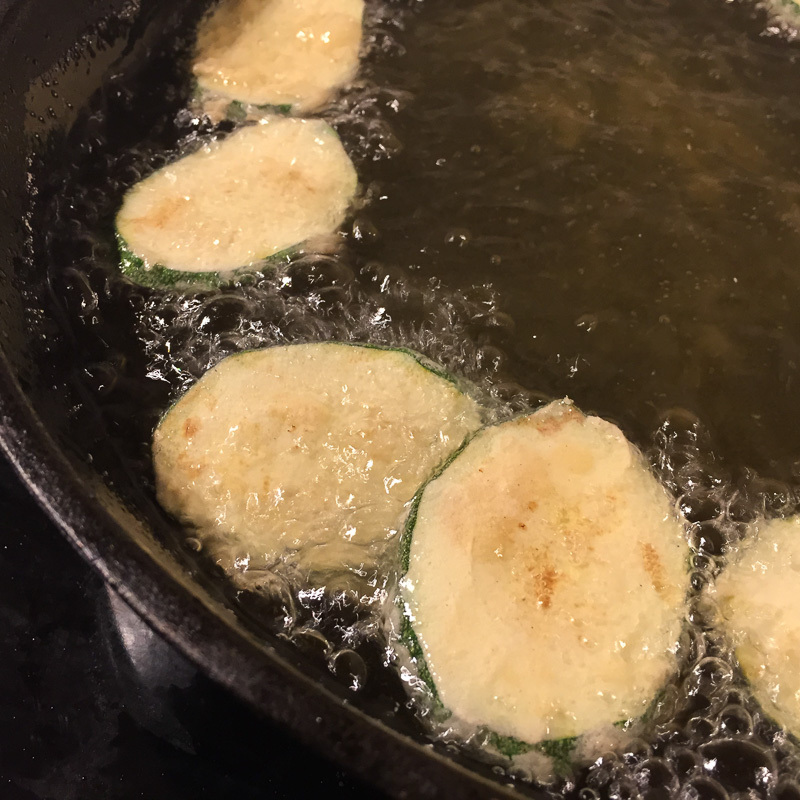 Keep the fried courgettes warm in the oven whilst the rest are cooking. Finally, season with freshly ground black pepper and eat while they’re hot. The book suggests doing this with a very dry Martini – I opted for a gin and tonic. The results? They were absolutely delicous. I overcooked the first few, so they were a little burnt, but once I was into the swing of it, it was all very easy. 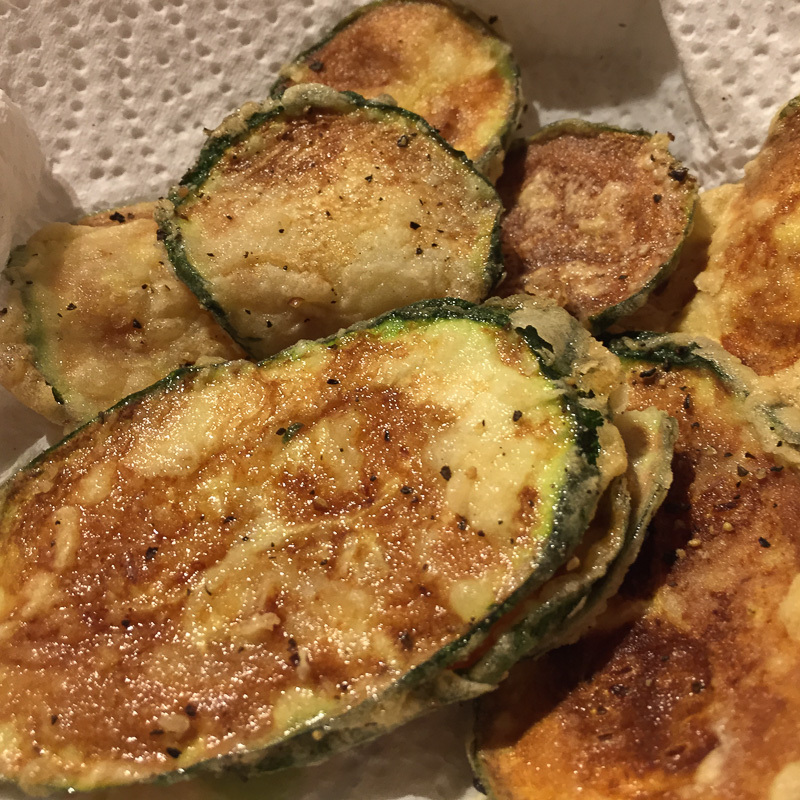 The fritters were lightly crisp on the outside, and meltingly soft on the inside. I just wish I’d had more than two courgettes. I walked in through the door from work (late!) and was greeted almost immediately with a bowl of steaming courgette slices fried in hot oil with black pepper. They are delicious! So simple, yet so good. The black pepper fires them up and the flour and egg white seems to really bring out the flavour. They are far more tasty than just having courgettes with dinner somehow. The texture is slightly crisp on the outside and then soft and creamy inside. They really are very nice. Who would have thought. He will have me raving about mushrooms soon at this rate. So glad you are posting again. I am reading with great interest. Love Simon Hopkinson.